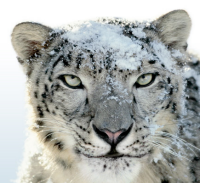 For owners of Intel-based Macs who are still using the older Tiger version of the Mac OS, Apple is officially making Snow Leopard available only in a â€œboxed setâ€ that includes other software and costs $169. The reasoning is that these folks never paid the $129 back in 2007 to upgrade to Leopard. But hereâ€™s a tip: Apple concedes that the $29 Snow Leopard upgrade will work properly on these Tiger-equipped Macs, so you can save the extra $140. So if you’re jumping from Tiger to Snow Leopard, you saved $129 bucks never purchasing Leopard and you can save $140 skipping the box set. Guess being a late adopter does pay off. Hey Gina, are you a Mac user? Oh good. I must say that I was not relishing the idea of doing a clean install of Leopard in order to get a clean system before I install Snow Leopard. that’s not necessarily correct. Nowhere in his article does Walt Mossberg state that you can do a clean install. He states that you can upgrade from Tiger, but not that you can do a clean install. I guess, we’ll know by tomorrow.